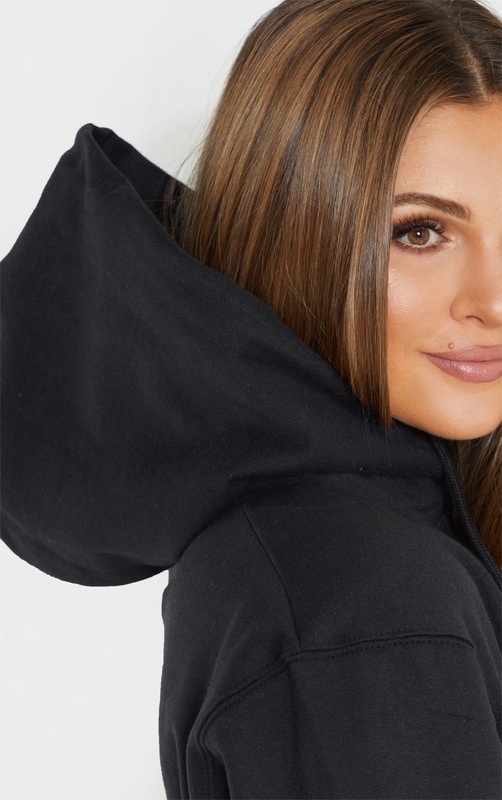 Get that effortlessly chilled vibe on point with this must-have hoodie. 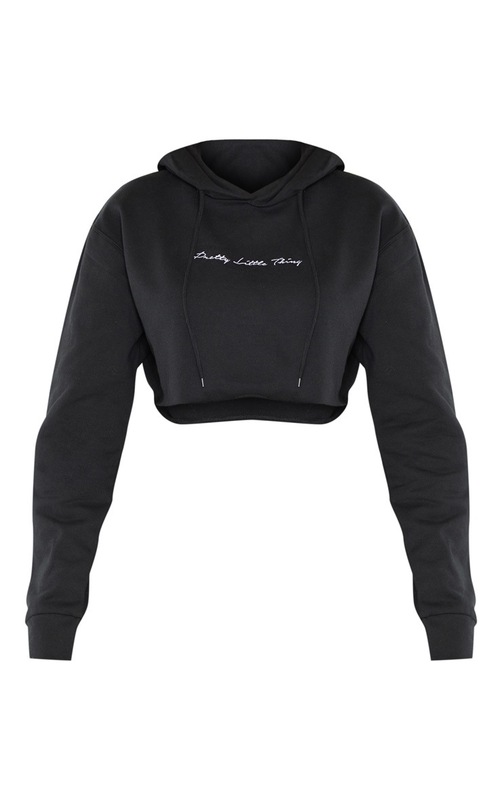 Featuring a black fabric with a PrettyLittleThing slogan embroidered across the front, long sleeves and a cropped length, we are obsessed. Style with black joggers and box fresh kicks for an off-duty look.